Almost Home isn’t a shelter. It’s a proven pathway out of poverty. work for a brighter future. We meet moms exactly where they are. Our targeted programs give young mothers the tools they need to be successful, no matter where they are on their journey, and stay with them to ensure long-term success. Designed for 16 to 20 year-old pregnant or parenting young women who haven’t finished high school and are in need of housing. Designed for graduates of the CEO and FTS programs who want to maintain the course toward lasting independence. 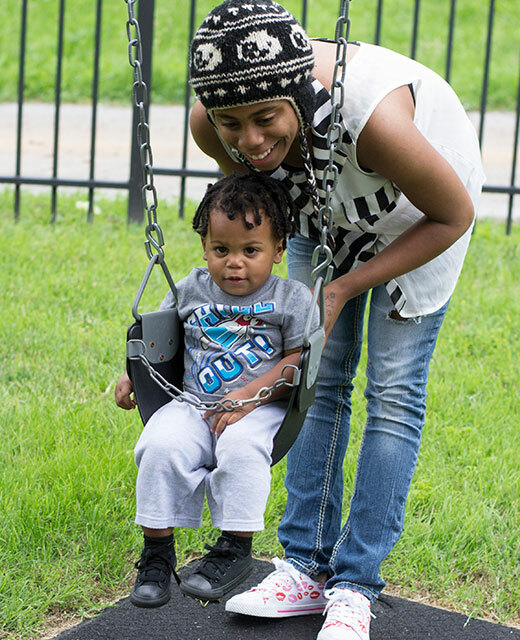 Do you know a young mom, 16-28 years old who would benefit from one of our programs? Contact us today to refer a young mom who is ready and willing to work hard to create a better future for herself and her child. We’ve designed comprehensive and relevant programs that address the complex needs of young moms in poverty. Our flexible model allows us to customize services for each young mom so we can achieve measurable results. Our 8 years of alumni support ensures their long-term success. Removing the obstacles that prevent people from escaping poverty today is a much more complicated process than it was in the past. That’s why Almost Home actively partners with other organizations in the community to increase our effectiveness and use resources more efficiently. See all of our partners and learn more in our annual report.